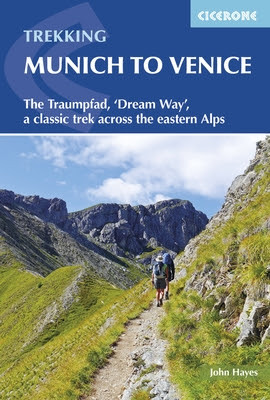 If you ask a German hiker how to get to Venice the chances are they would tell you to go to Munich, find the Marienplatz, then heads south across the Alps on Der Traumpfad (the Dream Way). Thirty days later, after the trip of a lifetime, you'll have swapped the crowds of Munich's busiest square for what Napoleon described as the 'drawing room of Europe', the Piazza San Marco. Although there are a number of German language guides, the absence of an English language version has left Der Traumpfad virtually unknown outside central Europe. Putting this anomaly right has been an absolute pleasure. My guide, published by Cicerone and in good time for next year's walking season, opens up one of Europe's most epic walks to English speakers everywhere. If you interested follow this link to the Cicerone store.